We connected for all of the above reasons but also because she lived on an island in the Caribbean. And so had I for a short while. We traded some ex-pat joys and commiserations in between commiserations about our works in progress. Her protagonist, like so many ex-pats, is running away from a bad deal back home, but no one asks questions on Bequia; this is part of its charm. Days are made up of food and drink and gossip and oh yeah! the need to make a living. But don’t be fooled by the palm trees and laissez faire vibe, there’s also a lot of nastiness going on and duplicitous friendships and, like any small town, everyone knows everyone else’s business, even if they don’t always talk about it. A lot of smiling through one’s teeth. Add island politics—and this is no small thing—and the result: when a murder is committed, the question is not so much who did it but who’s willing to admit who did it. Everyone’s scratching someone else’s back. If you’ve ever lived on an island, you’ll smile and nod your way through the familiar. If you haven’t, but think you’d like to, it’s a good eye-opener. And if you read it while on an island, even better. The mystery element is but a bonus in my view. For me, it’s all about the place. 1. What literary character did you most identify with as a child, or want to become? ST—It’s a toss-up between Harry the Dirty Dog and Curious George. 2. At age fifteen, what were you reading? ST—Everything I could get my hands on from the library about Down Syndrome, because the daughter of a family friend who played with my younger sister and me when they came to visit had me intrigued. I thought I might like to work with Down Syndrome children when I grew up. Then, that summer at the cottage, I read through an enormous stack of Harlequin romances with a babysitter the same age as me who had been hired to look after the neighbour’s children. I know … weird. I didn’t really discover real literature until after that year. 3. Do you find there are recurring themes in your work, generally, that surprise you? ST—The main issue that comes up, and this is mainly in my short stories, is of being trapped in a situation and not being able to get out of it. Reconciliation is another. “There in the gap, Herbert whoaed the horses. What had halted him, and us, was a change of earth as abrupt as waking in the snow had been. Ahead was where the planet greatened. This is one of the best descriptive passages I’ve ever read, because Doig put the exact words to my feelings the very first time I saw the Rocky Mountains, when I moved to Calgary in 1978. This passage still causes goosebumps. 5. What is the writer’s role in society? ST—I attended a seminar led by Aritha van Herk in which she said that the writer translates or interprets for the reader. That’s the way I think of writers—we are translators and interpreters of experience. 6. 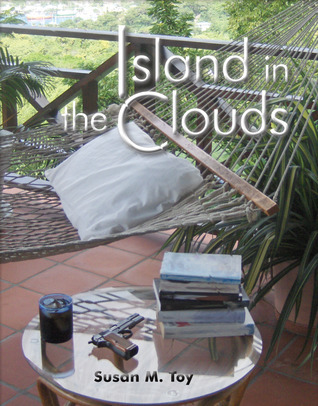 Island in the Clouds begins with a wonderfully candid description of, and introduction to, the ‘character’ of contemporary Bequia via the book’s narrator. In this way, we meet the island before we meet our protagonist. How important was ‘place’ to you in writing this story? And the accuracy of place… versus a fictitious island, for example. ST—Place was the most important aspect of this novel. It was suggested by early readers that the setting be fictitious, because I was perhaps a little too accurate—and honest—about the island. But I knew the greatest appeal of this story was that it was about Bequia, so I never considered telling the story any other way. 7. Some elements of island life, especially local politics, are not always shown in the best light. Islands are small places… how was the book received by locals? 8. What brought you to Bequia? ST—We first came to Bequia as tourists in 1989 after a customer at the Calgary bookstore where I was working suggested it as a possibly vacation spot. We were hooked from that very first time, kept coming back every year, and before we knew it we bought land, built a house, and moved here permanently in 1996. 9. Any challenges/differences writing a male protagonist? ST—No. Geoff’s was the first voice that came to me when I began writing this novel and that seemed quite natural for the story I wanted to tell. The second novel in the series is about a woman, and I really don’t notice that much difference writing in her voice from writing in the voice of a man in the first novel. 10. Your background is almost entirely industry-related so you were not unfamiliar with the process of editing, publishing and marketing. You also developed your own imprint and chose the self pub route. I’d like to think you knew the ropes so well there were no surprises…[ but I’m guessing there were surprises]. Would you share a few? ST—No real surprises as far as publishing, editing and marketing were concerned. In fact, I discovered that I enjoyed the publishing end of the business so much that I set up a new imprint, IslandShorts, and am now ePublishing short fiction, poetry and novellas by other authors. I will likely only ePublish from now on, with a limited edition print run to pre-sell, so I won’t be stuck with unsold stock, as I still am with the first novel. I have to say though that the biggest surprise of all was how little support I received from colleagues in the business. NO ONE came forward to say, Here, let me help you promote and sell your book like you’ve done for me. All the promotion ideas were my own; all the attempts to get publicity were my own; trying to get distribution in bookstores and setting up events were as a result of my own efforts. That was extremely disappointing, especially as I had been promoting and assisting so many other authors all along (and still do), and numbered many authors, booksellers and librarians among my personal friends. The reason I didn’t receive equal support was clear to me in hindsight—I’d gone the self-publishing route, and there’s still a lot of prejudice about self-published books and their quality … even though everyone knew I’d done a very professional job on this book. Other self-published authors I met along the way have supported me, but not the traditionally published authors. So that was the biggest surprise of all, and I’ve kept quiet about it until now, but since you’ve asked … A big disappointment for me. Ocean or lake? Both. I’m a swimmer. Turtle soup, goat stew, tropical fruit salad and anything in a glass with ice. And don’t be shy with the anything. Susan M. Toy has been a bookseller, award-winning publishers’ sales rep, author impresario and publishing consultant. She has recently begun ePublishing short fiction, long-form creative nonfiction, and poetry under the imprint IslandShorts. Her eBook, That Last Summer, a novella set in Ontario cottage country in 1965, has just been released. 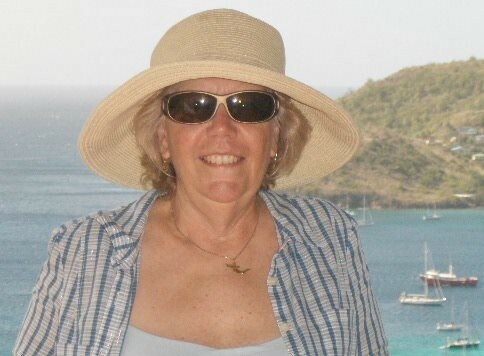 She divides her time between Canada and the Caribbean island of Bequia and blogs at Island Editions. Many thanks to Carin Makuz for including me in her (at) eleven feature! I really enjoyed reading this candid interview with Sue. She has inspired me so much. And she is definitely very supportive of her friends and associates’ writing endeavors. I have benefited from her encouragement tremendously. I wish her continued success as a writer. I really loved Clouds – and I look forward to the sequel! Love this interview with the author, Susan Toy. Susan is great at promoting other authors. It’s nice to see someone promoting her. Thoroughly enjoyable interview, girls. Thank you. Reblogged it because I just know followers of my blog will love it. An informative an interesting interview. Thank you Matilda and Susan.